The International Livestock Resources & Information Centre (ILRIC) is a division of the Agricultural Business Research Institute (ABRI), based at the University of New England in Armidale, NSW, Australia. 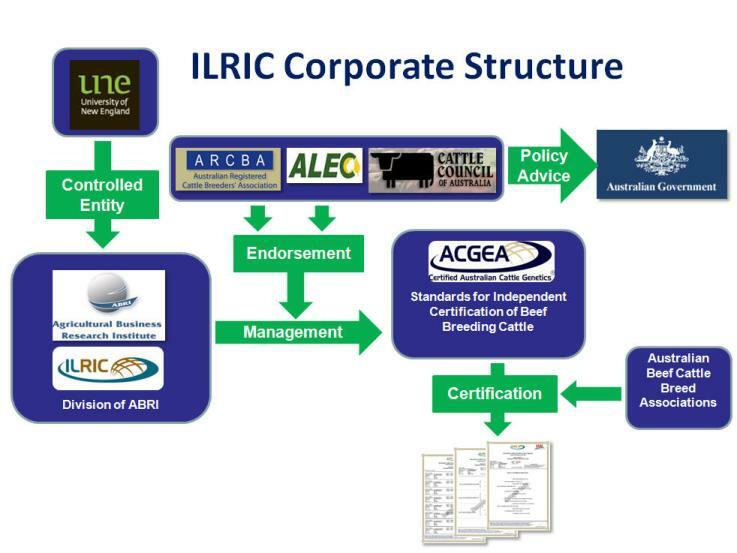 ILRIC's main charter is to provide independent certification of beef breeding animals based on the Australian Cattle Genetic Exports Agency (ACGEA) standards. For further information on ILRIC please contact us.